Get Waze from Android's Play or iTunes' App Store or Windows Phone Store. 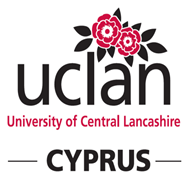 Then search for 'UCLan Cyprus'. If you are driving from Nicosia or Larnaca or Limassol or Paphos, then head East on A3 towards Ayia Napa/Paralimni and take 'Exit 59'. Then, follow the signs to UCLan Cyprus (approximately 5Km). If you are driving from Paralimni or Ayia Napa, then head West on A3 towards Larnaca/Nicosia and take 'Exit 60'. Then, follow the signs to UCLan Cyprus (approximately 3.5Km). If it helps, the coordinates are (35.00816, 33.69769) and you can see the exact location on Google maps.